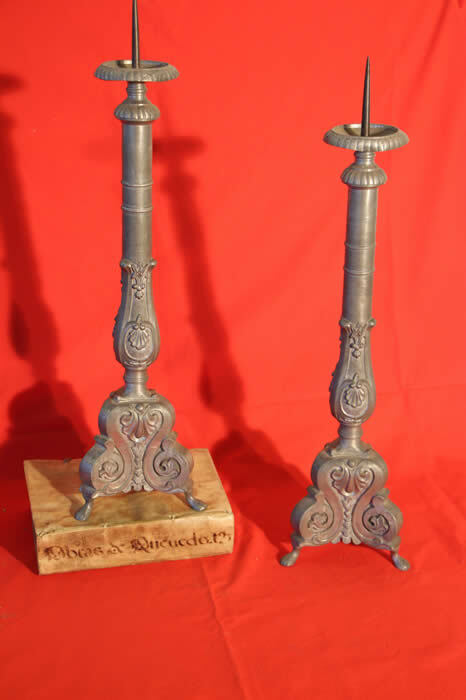 Pewter pair of tall Gothic baroque Candle pricketts or altar candlesticks. Well sculpted with turned column and baroque acanthus scrolls. Resting on tripod leg bases . 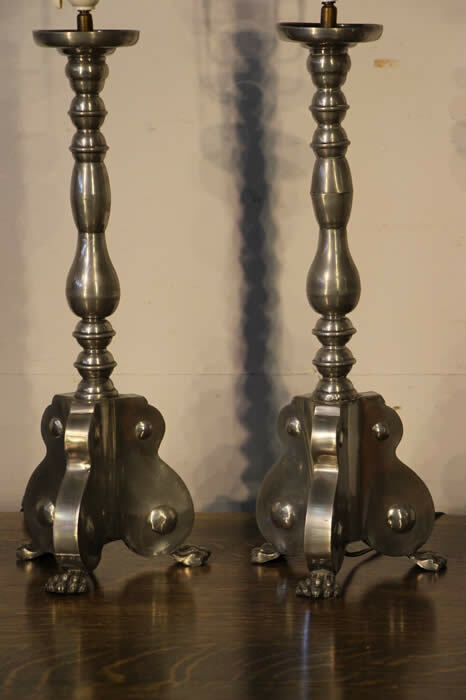 Pair of antique baroque lamp bases of burnished pewter and raised on paw feet. 19th century originals with 20th century electrification. 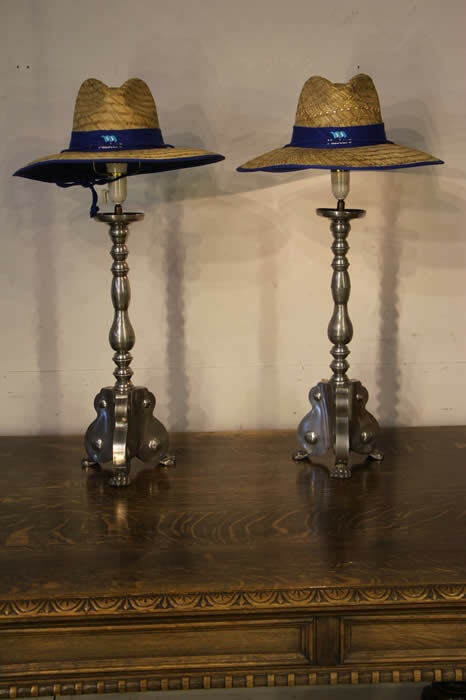 The fittings are ideal for a top hat shape and are illustrated with "hat shades" ( not included) . Scandinavian 19th century and later. 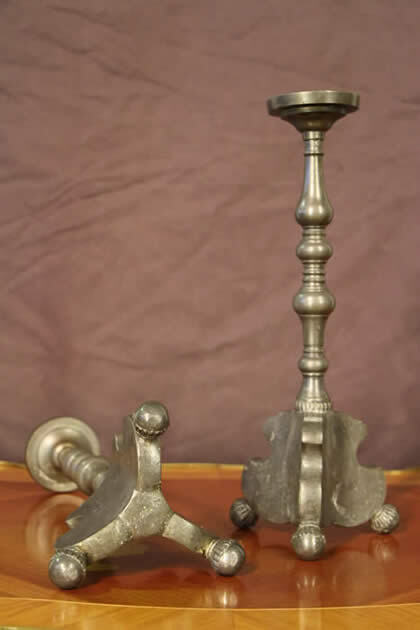 A pair of Scandinavian solid pewter candelsticks of baroque form. 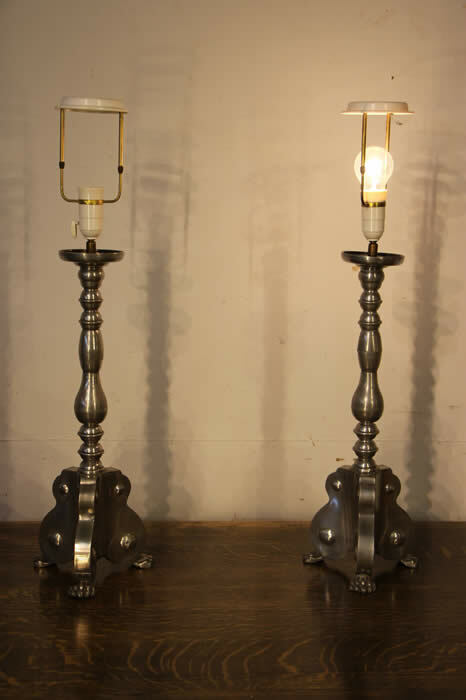 The turned column supports raised on three ornate shaped bases and sitting on turned and reeded ball feet. No foundry markings but this may be becasue they were used for clergy use. 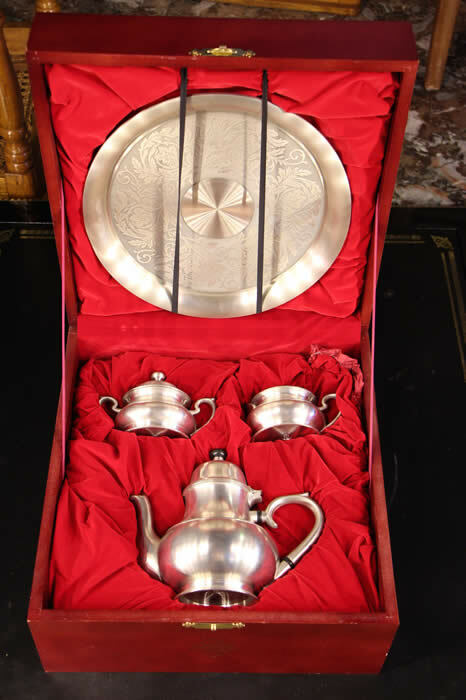 A rare Malaysian- Australian University engraved presentation tea set in original case. Made and stamped by Roayl Selangor for the Alumni Convention 1996 in very good condition . 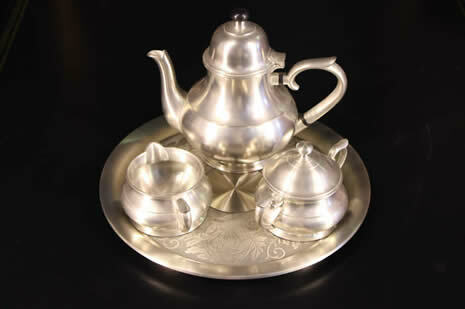 Listed original price for this Sovereign set is $1290 AUD.